Perfect for pairing with a Rhino-Rack wire-mesh basket or alloy tray, these cinching tie-downs ensure that your gear is secured for transport. Each durable polyester strap has a cam buckle that holds the strap tight over your cargo. 496 lbs Max load. 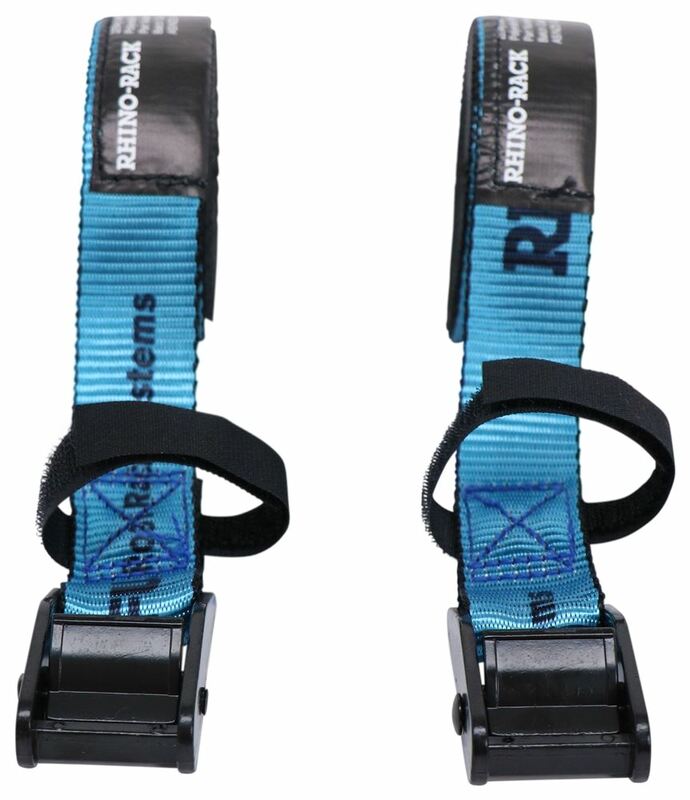 Lowest Prices for the best tie down straps from Rhino Rack. 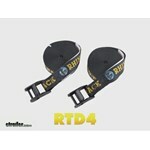 Rhino-Rack Cam Buckle Cinch Straps - 15/16" x 13' - 165 lbs - Qty 2 part number RTD4 can be ordered online at etrailer.com or call 800-298-8924 for expert service. Perfect for pairing with a Rhino-Rack wire-mesh basket or alloy tray, these cinching tie-downs ensure that your gear is secured for transport. 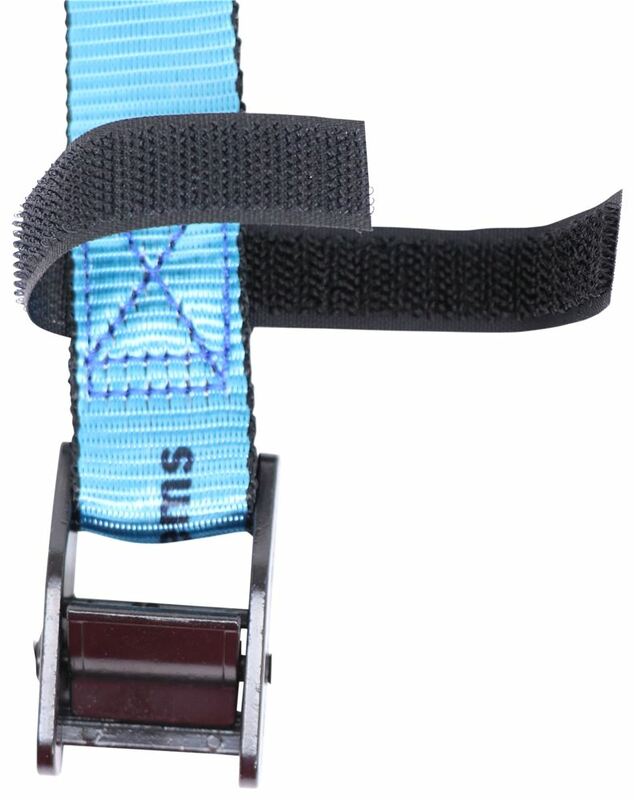 Each durable polyester strap has a cam buckle that holds the strap tight over your cargo. 496 lbs Max load. 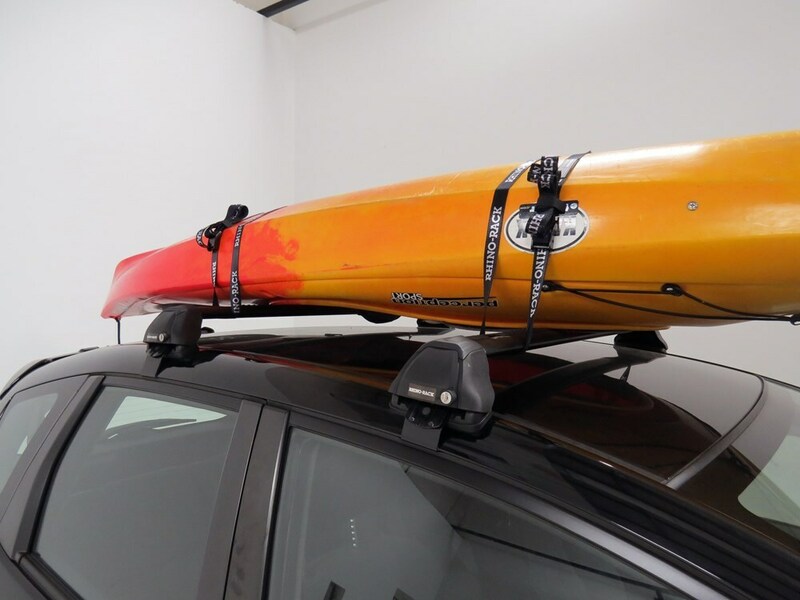 Cam buckle straps with S-hooks attach to eye bolts (sold separately) to secure cargo to your roof rack. Perfect for use with Rhino-Rack Pioneer platforms and Vortex Aero and Heavy Duty crossbars. 992 lbs Max load. Speaker 1: Today, we're taking a look at the Rhino Rack cam buckle cinch straps. These cinching tie-downs let you secure a variety of items to your cargo carrier, roof rack, truck bed, or trailer. 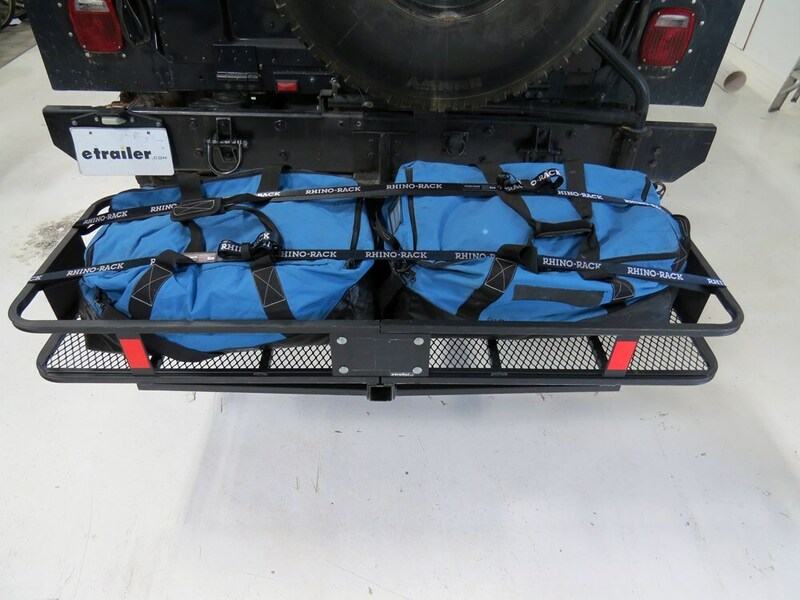 These are great for securing like kayaks, canoes, luggage, coolers, and so on. 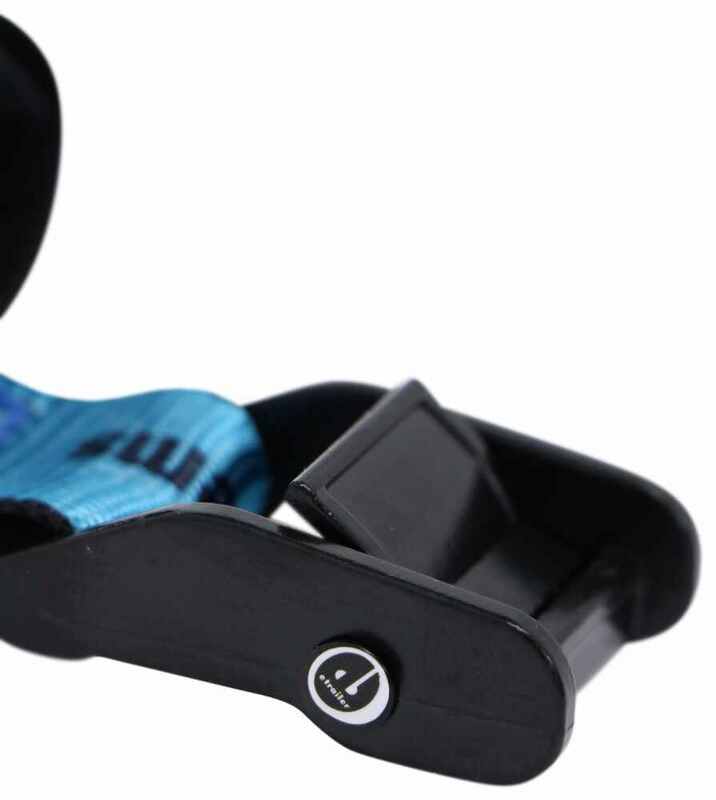 They feature the nice metal cam lock buckles that are designed to hold the straps tight over your gear. The plain end of the strap feeds through the buckle so that you can cinch the strap around your cargo for a nice, tight, secure fit.The buckle again, metal construction so it's strong and durable, protective coating keeps it safe from any type of rust or corrosion and the really neat thing about the metal cam buckle design or the cam lock buckle is that it has multiple teeth right here, which grad onto the strap without doing any damage. What that does is it keeps the strap from being able to back feed or being able to loosen on its own but you can always take out any slack that you have so you can always pull the strap tight, but it won't back feed until you press this lever right here, which disengages, it allows you to loosen the strap when you're ready to unload your gear.It's a really nice design. They're very safe, they're very effective. They also come with the included tie down so that way you can roll up any excess that you have and you can place it through the hook and loop fastener and you can tie it off to prevent it from like flapping as you go down the road. You don't have to worry about tying a knot that's difficult to undo later when you get to where you're going. That's a nice built-in feature of the unit.The strap itself is made from a durable polyester. When it comes to the dimensions, these are 15/16th of an inch wide so almost one-inch wide by 13 feet long. Safe working load limit is 165 pounds, maximum load or break strength is 496 pounds and that's per strap. With this part number, you get two cinch straps. 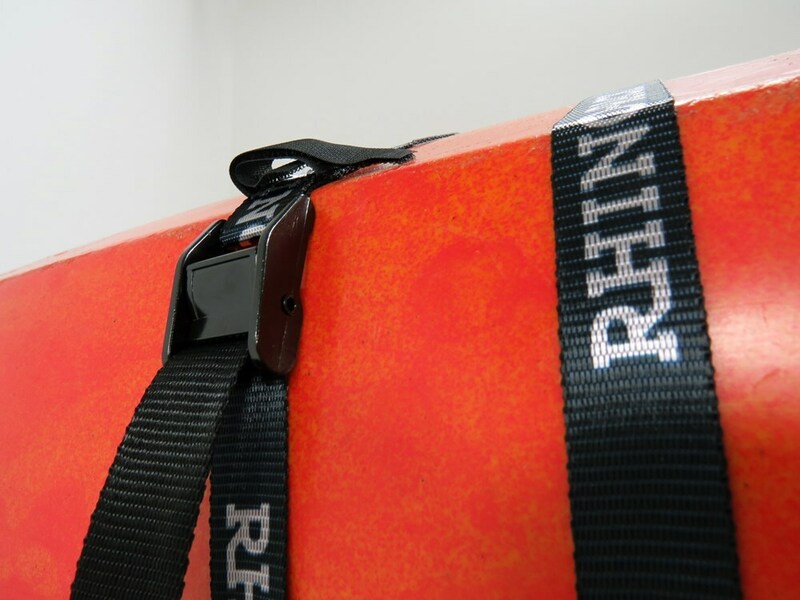 Please keep in mind that tie down straps must be chosen according to their safe working load limit.the weight of your secured cargo must not exceed the combined working load limit of the straps being used.That's going to do it for today's look at the Rhino Rack cam buckle cinch straps. Order: RelevanceNewestRating - High to LowRating - Low to High Perfect for pairing with a Rhino-Rack wire-mesh basket or alloy tray, these cinching tie-downs ensure that your gear is secured for transport. 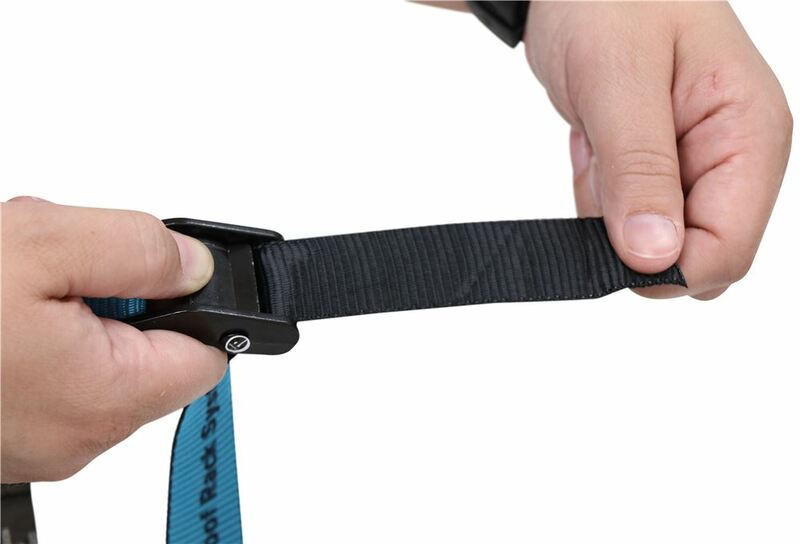 Each durable polyester strap has a cam buckle that holds the strap tight over your cargo. 496 lbs Max load. The rubber washers for your Rhino-Rack Roof Mounted Steel Cargo Basket # RMCB02 will go in front of the deflector when inserting the 5 screws. This is a really nice cargo basket that features a 165 pound capacity and dimensions of 57 inches long, 42-13/16 inches wide, and 5-7/8 inches tall. 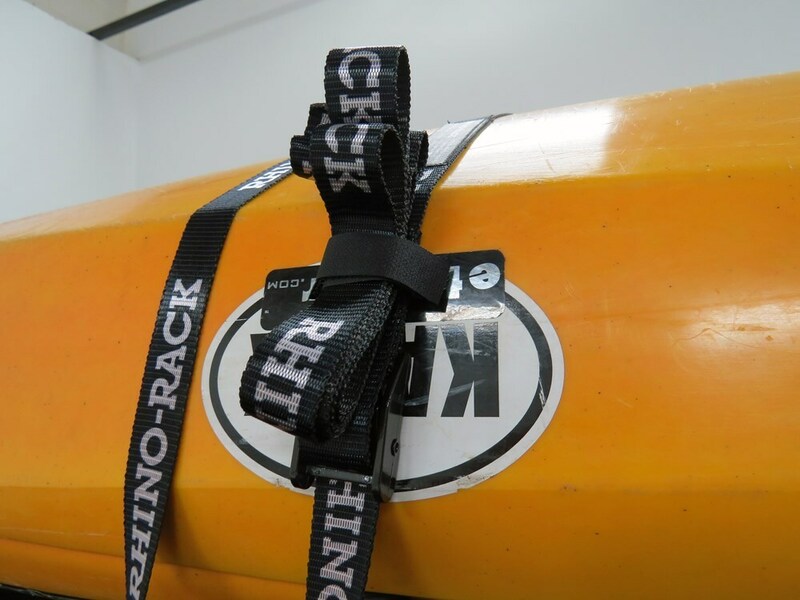 I recommend adding some straps like the Rhino-Rack Cam Buckle Cinch Straps # RTD4 to secure your cargo to the basket.